[PDF] A Poetics of Translation: Between Chinese and English Literature | Free eBooks Download - EBOOKEE! Description: Western literature, from the mysterious figure of Marco Polo to the deliberate fictions of Daniel Defoe and Mark Twain, has constructed portraits of China born of dreamy parody or sheer prejudice. The West's attempt to understand China has proven as difficult as China's attempt to understand the West. 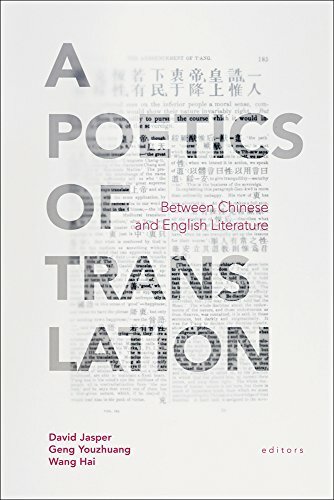 A Poetics of Translation is the result of academic conversations between scholars in China and the West relating to issues in translation. "Translation" here is meant not only as the linguistic challenges of translating from Chinese into English or English into Chinese, but also as the wider questions of cultural translation at a time when China is in a period of rapid change. The volume illustrates the need for scholars, both eastern and western, to learn very quickly to live within the exchange of ideas, often with few precedents to guide or advise. This book also reflects the final impossibility of the task of translation, which is always, at best, approximate. By examining texts from the Bible to poetry and from historical treatises to Shakespeare, this volume carefully interrogates?and ultimately broadens?translation by exposing the multiple ways in which linguistic, cultural, religious, historical, and philosophical meaning are formed through cross-cultural interaction. Readers invested in the complexities of translation betwixt China and the West will find this volume full of intriguing studies and attentive readings that encompass the myriad issues surrounding East-West translation with rigor and imagination. No comments for "[PDF] A Poetics of Translation: Between Chinese and English Literature".